Employing a nanny is a very unique relationship. It is difficult to think of another job in which an employee is so closely involved with the life of their employer. As a result, making the decision to employ a nanny is not one which can be taken lightly – you really need to take on the implications of being an employer seriously. As most of us who have ever been employed know, if we feel well treated by our employers then we will give our very best to our employers – and let’s face it, with nannies looking after children, it’s pretty important that our nannies want to do a good job. So, it follows that to get the best from our nannies, families need to make the effort to ensure that nannies are happy and feeling valued. It’s not as simple as paying a market competitive salary and making sure that they are employed legitimately and properly (though these things are vitally important too). I’m talking about the little things that can make a huge difference to your working relationship with your nanny. Duties – are you being reasonable with what you ask your nanny to do? If you are asking your nanny to do lots of ‘other’ things outside of the main childcare, stop to think about whether this is reasonable/fair. For example, for how long are you able to look after 2 or 3 very young children all day (planning engaging activities, taking them out, keeping a watchful eye on them, playing with them etc), cook healthy meals for every meal of the day, keep the house tidy all day, and manage to do the laundry/change the beds. The list of possible duties goes on. The message is: be realistic about what your nanny can manage in a typical day. Ask yourself if you’d find it manageable if you were to do this every day. If not, then there is a good chance that it is probably a bit too much for your nanny and they may feel overworked and unhappy. Stress the positives! – it sounds so obvious, but sadly it is so often the case that we forget to tell our nannies how much we notice and appreciate the fabulous things they do every day. Nannies who feel undervalued almost always feel this way because they aren’t being told that they are doing a good job, but very often families are quick to criticise or suggest additional things that they expect to be done. I’m sure we all know, from our own experiences, how demoralising that feels, so please let’s ensure that we praise our nannies far more than we criticise them! Ask your nanny how she is getting on – I really can’t stress enough the importance of two way communication with your nanny. Ask her how her day was. Are there challenges and what can you do to support her in the future to address these? If she is struggling, could you help to make her job easier by, for example, taking away just one of her duties to make her week less stressful? It goes without saying that feeling supported will make for a much happier and engaged employee. There are plenty of other things that you can do too. It so often isn’t the big things, but the small things, that will make you nanny feel happy and motivated to do her very best job for your family. And in return, you will get so much more out of her, and hopefully have a fabulous relationship which lasts for many years. Welcome to Happy Families Home Support! 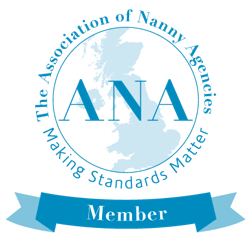 Do you know about the British Association of Professional Nannies?